Getting into the BIOS setup utility on your motherboard should be easy, right? If you've tried the basic steps for accessing your motherboard's BIOS and haven't been successful, this list of keyboard commands to enter BIOS should be of some help. If you have a computer system from a major manufacturer like Dell, Gateway, etc. then our BIOS Setup Utility Access Keys for Popular Computer Systems list will probably be of more help. abit ab9, an7, an8, av8, aw9d, be6, bh6, ic7, in9, ip35, kn8, kn9, etc. Press Del while the PRESS DEL TO ENTER SETUP message is displayed to access the BIOS setup utility. ASRock 4coredual, 775dual, 939dual, k7s41gx, p4v88, k7vm3, etc. Press F2 right after the computer starts up. ASUS p5b, a7v600, a7v8x, a8n, a8v, k8v, m2n, p5k, p5n, etc. Press Del right after starting the computer to enter BIOS. 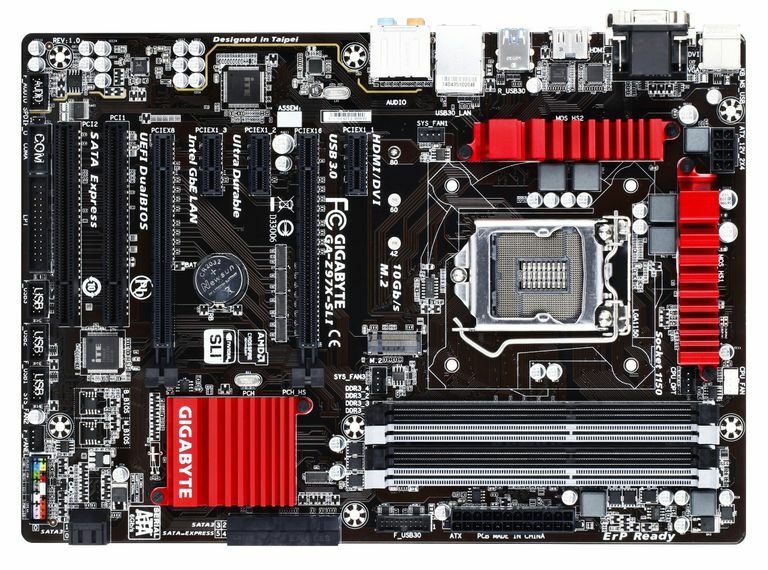 Some other ASUS motherboards use Ins and some, like the p5bw-le, use F10 instead. BFG 680i, 8800gtx, 6800gt, 7600gt, 7800gs, 7950gt, etc. Press Del when the ...enter setup message briefly displays at the bottom of the screen after powering on the computer. Biostar 6100, 550, 7050, 965pt, k8m800, p4m80, ta690g, tf7050, etc. Press the Del key while the full-screen logo is showing on screen, immediately after starting the computer. DFI LANParty Ultra, Expert, Infinity 975x, NF3, NF4, cfx3200, p965, rs482, etc. Press the Del key when the Press DEL to enter setup message appears, immediately after the memory test. ECS Elitegrou k7s5a, k7vta3, 741gx, 755-a2, 945p, c51gm, gf7100pvt, p4m800, etc. Press either the Del or F1 key to enter the BIOS Setup Utility. EVGA 790i, 780i, 750i, 680i, 650i, e-7150/630i, e-7100/630i, 590, etc. Enter BIOS by pressing Del immediately after powering on the computer. Foxconn c51xem2aa, 6150bk8mc, 6150bk8ma, c51gu01, etc. Press Del to enter the BIOS Setup Utility. GIGABYTE ds3, p35, 965p, dq6, ds3r, k8ns, etc. Press Del during POST, right after the computer is turned on. Intel d101ggc, d815eea, d845, d850gb, d865glc, d875pbz, d945gccr, d946gtp, d975xbx, etc. Press F2 during the initial boot process to enter the BIOS setup utility. JetWay jm26gt3, ha04, j7f3e, hi03, ji31gm3, jp901dmp, 775gt1-loge, etc. Enter BIOS setup by powering on the computer and pressing Del immediately. Match Speed Viper, Matrix, pm800, 917gbag, v6dp, s755max, etc. Press Del after the boot process begins to enter the BIOS configuration utility. MSI (Micro-Star) k8n, k9n, p965, 865pe, 975x, k7n2, k9a2, k8t neo, p7n, p35, x48, x38, etc. Press Del while the Press DEL to enter SETUP message displays on screen after powering on the computer. PCChips m810lr, m811, m848a, p23g, p29g, p33g, etc. Press Del or F1 to enter the BIOS utility. SAPPHIRE PURE CrossFire 3200, a9rd580Adv, a9rs480, CrossFireX 770 & 790FX, PURE Element 690V, etc. Press Del after powering on to get into BIOS. Shuttle "bare bones" and motherboards including ak31, ak32, an35n, sn25p, ai61, sd37p2, sd39p2, etc. Press Del or Ctrl+Alt+Esc at the Press DEL to enter SETUP message that appears right after turning on the computer. Soyo Press Del during POST. Super Micro c2sbx, c2sbm, pdsba, pdsm4, pdsmi, p8sc8, p4sbe, etc. Press the Del key at any time during the boot process. TYAN Tomcat, Trinity, Thunder, Tiger, Tempest, Tahoe, Tachyon, Transport and Bigby motherboards including K8WE, S1854, S2895, MP S2460, MPX S2466, K8W S2885, S2895, S2507, etc. After starting the system, press the Del or F4 key to start the BIOS setup utility. XFX nForce 500 Series, 600 Series, 700 Series, etc. Press Del during the boot process, immediately after the computer is turned on. If you still can't determine what the keyboard commands are to access BIOS for your motherboard, our BIOS Setup Utility Access Keys for Major BIOS Manufacturers list should come in handy. Where Can I Find Serial Keys and Installation Codes for My Software?